This is what I have accomplished so far this Saturday...I hope you enjoy them! 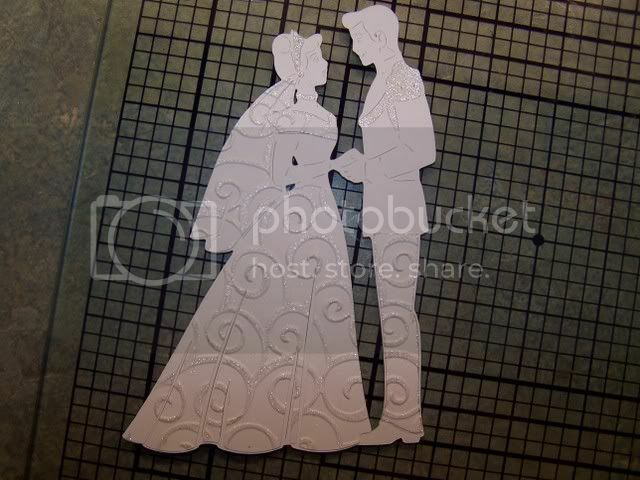 This is Cinderella and Prince Charming from the Cricut Happily Ever After cartridge. I cut this at 6" all in white and the embossed the layers with the Cuttlebug. The glitter on the embossing is a Gelly Roll clear glitter pen. 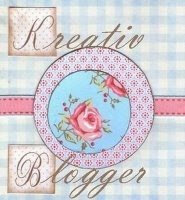 (I should mention that the white on white look is a scraplift from someone on the Cricut Message Board, but I don't remember who~so sorry about that). The two cards are pretty similar. 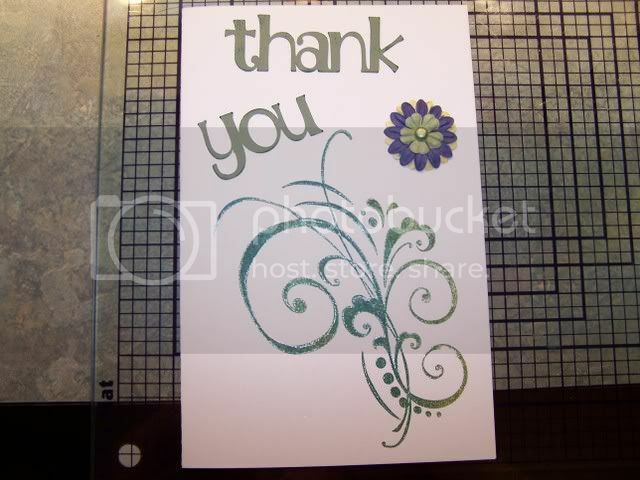 Stamped flourish with glitter pen accents and Alphalicious cuts with Prima flowers to finish off! Happy Saturday, check back there might be more. I also might get to the tagging this afternoon, depends on how long the inspiration bug stays around! Hee, hee!!!! Ok, the inspiration bug stuck around long enough for me to get this LO done. 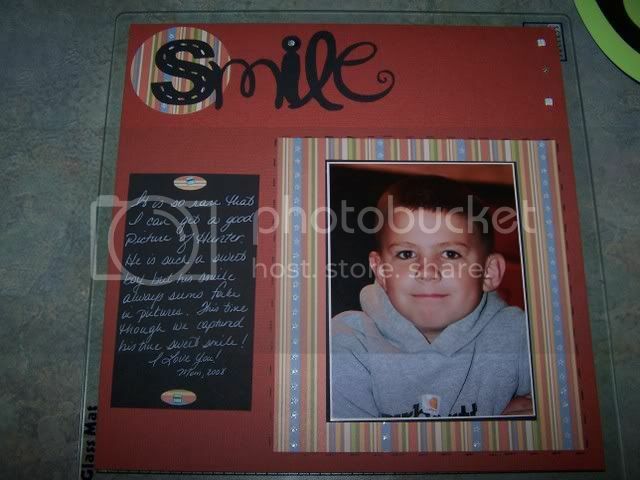 I used Mini Monograms for the smile and the paper is DCWV Nana's Kids. I was even able to find some brads that matched perfectly. It is nice when a LO comes together as easily as this one did. The most difficult part was getting a picture of Hunter with a perfect smile! But this time we did!